The Israeli Labor Party is Israel’s founding party, and until 1977 all Israeli Prime Ministers were affiliated with the Labor movement. Most notable names include the first president of Israel David Ben-Gurion, as well as Golda Meir and Yitzhak Rabin. The Labor party was in power when Israel decriminalized homosexuality in 1988. Meretz has always been a strong supporter of LGBTQ rights in Israel. The party was established in 1973, by the Israeli feminist Shulamit Aloni, under the name of Ratz. In 1991, Ratz joined the Mapam and Shinui parties to establish Meretz. Meretz MK Uzi Even made history in 2002 by becoming the first openly gay member of Knesset. While Meretz did not address LGBTQ issues specifically in its party platform, the party published a general declaration of its intent to continue recognizing and fighting for Israel’s many communities and their ability to live in dignity, to lead a full family life and not to suffer discrimination. Meretz’s track record indicates a historical commitment to the LGBTQ community. 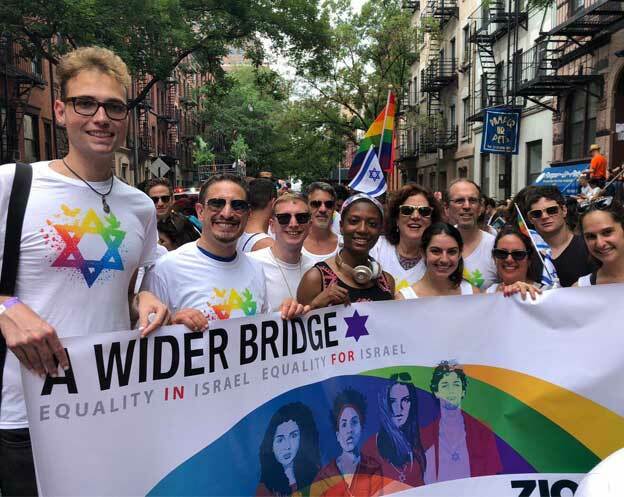 The Blue and White party was formed in February 2019 following a coalition agreement between two centrist parties – Benny Gantz’s Hosen L’Yisrael (‘Israel Resilience Party’) and Yair Lapid’s LGBTQ friendly Yesh Atid (‘There is a Future’). The Adoption Law will allow LGBTQ couples to adopt in Israel and abroad and the birth certificate procedure will be equal to that of heterosexual couples. 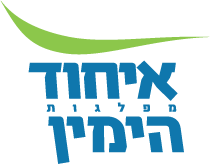 Gesher was established in December 2018 by Orly Levy-Abekasis, who split from the Yistrael Beiteinu party. The party focuses primarily on socio-economic issues, with an emphasis on gender equality. Israel’s largest right-wing party has been a dominant force in Israeli politics for decades. Founded in 1973, and elected to form a government in 1977, Likud is headed by current Prime Minister Benjamin Netanyahu. The party has included prime ministers Yitzhak Shamir and Ariel Sharon. While Netanyahu has stated his support for LGBTQ rights, he also stated he cannot vote against the more conservative parts of his coalition and therefore this summer, voted this to uphold an anti-gay surrogacy law. The party has not released a platform prior to the elections. Kulanu is the most favorable LGBTQ ally in the current Knesset ruling coalition, however, they have had a mixed voting record when it comes to LGBTQ rights. Kulanu’s MK Merav Ben-Ari has been an important ally to the LGBTQ community. Ben-Ari has stated her frustration by the lack of gay rights legislation passed by the Knesset. There is no reference to the LGBTQ community in the party’s platform. Yisrael Beiteinu is a secularist and right-wing nationalist political party in Israel. The party’s base was originally secular, Russian-speaking Israelis although support from this demographic is in decline. The party seeks to widen its base. There is no reference to the LGBTQ community in the party platform. This new party was formed for the 2019 elections by Habayit Hayehudi leader Naftali Bennet. The party’s platform notes that in the matter of religion and state, a special committee will be set and will act in the spirit of the Gavison-Medan Covenant. Zehut is an Israeli libertarian Zionist political party founded in 2015 by Moshe Feiglin, former Deputy Speaker of the Knesset. Moshe Feiglin once called himself a proud homophobe, but has distanced himself from those remarks. Shas is an ultra-Orthodox religious political party in Israel, which primarily represents the interests of Haredi Sephardic and Mizrahi Jews. The party was founded by the late Rabbi Ovadia Yosef, who once called homosexuals “completely evil.” His son Rabbi Yaakov Yosef issued a ruling that forbade people from letting their children study with gay teachers or tutors. Last year, a Shas lawmaker was forced out the party for attending his nephew’s gay wedding. Ra’am-Balad is a joint electoral list of two parties: Ra’am and Balad. The two were part of the four-strong alliance of The Joint List with Hadah and Ta’al which competed in the 2015 elections.